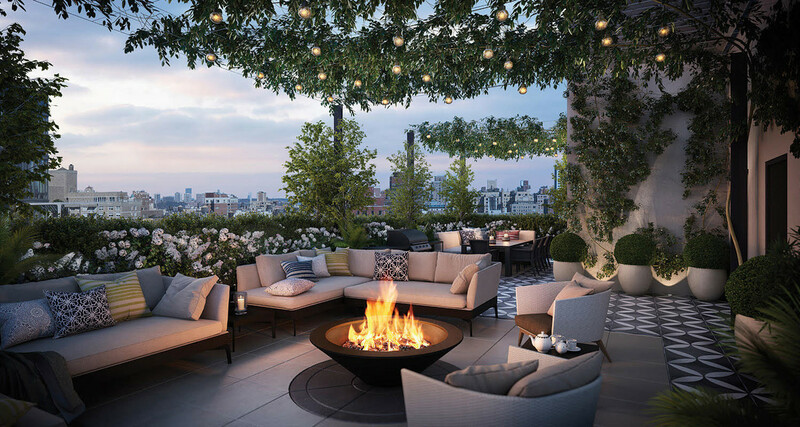 The amenities at 221 West 77 appeal to residents of all ages. A spacious landscaped roof-deck offers comfortable seating around a gas fire pit. An outdoor grill and banquettes for dining provide an idyllic spot for sunset cocktails or al fresco meals. 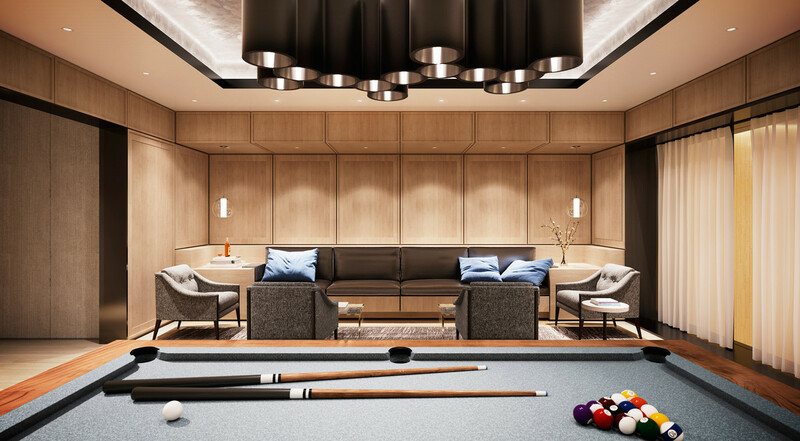 A paneled billiards room is a fabulous place to entertain friends, while feeling like you live in a boutique hotel. 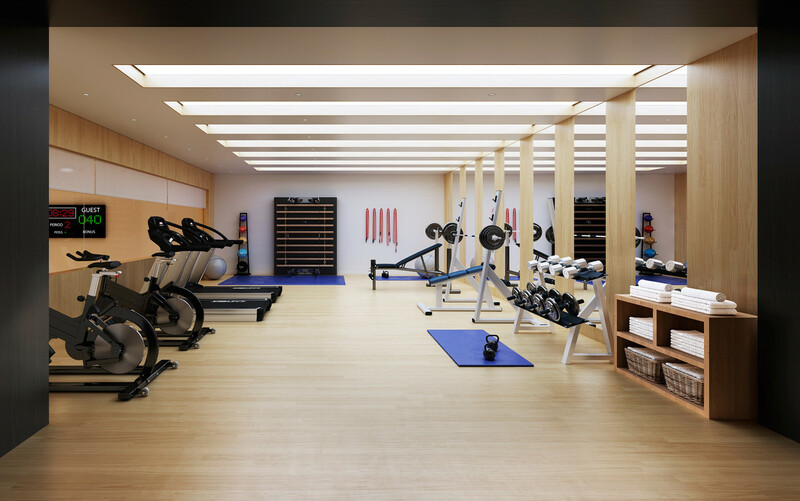 Thanks to a state-of-the-art gym, health and wellness are integral parts of the lifestyle at 221 West 77. 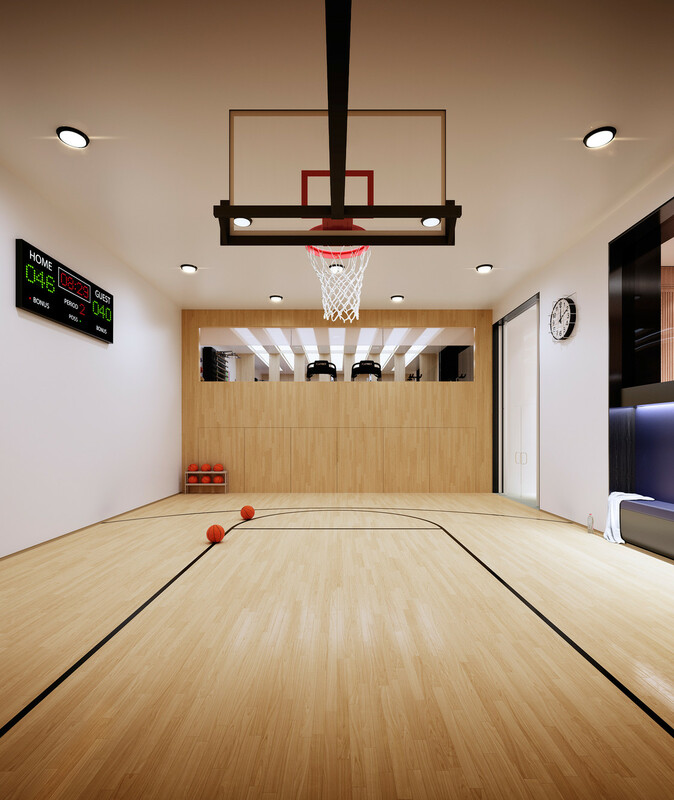 The building’s basketball court will be adored by children and older residents alike. It can also be used for hitting tennis balls or practicing yoga. In the lounge, residents will feel like they’re guests at a boutique design hotel. Equipped with a pool table and areas to relax, this room is a stylish extension of home and an ideal place to entertain friends. The rooftop terrace is a wonderful place to retreat and entertain. In the summer, there are beautiful sunsets over the city skyline to enjoy. In the cooler months, the terrace’s outdoor fireplace is a natural gathering spot for family and friends. The building’s unique basketball court offers endless possibilities for fun. 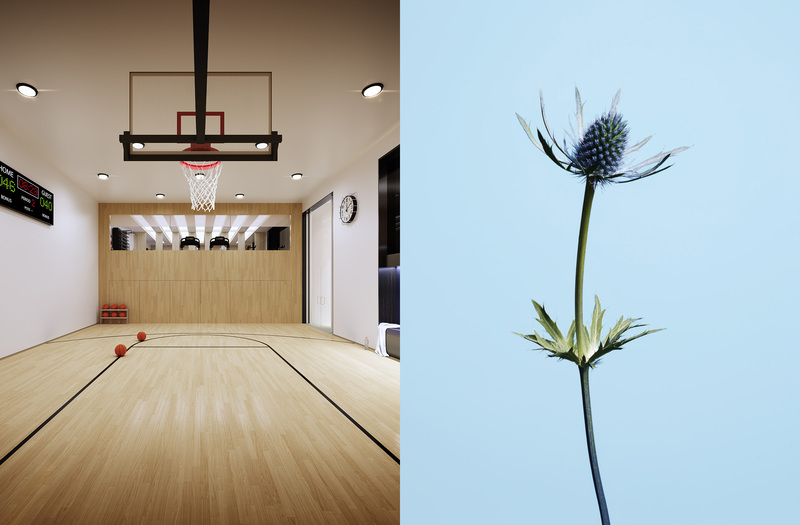 Residents have their own private space to play—whether it’s shooting baskets after dinner, hosting a yoga class on the weekend, or just running around on a rainy day. Health and wellness are an integral part of life at 221 West 77. The gym is equipped with state-of-the-art exercise machines and free weights, so residents can work out in the privacy and convenience of home.